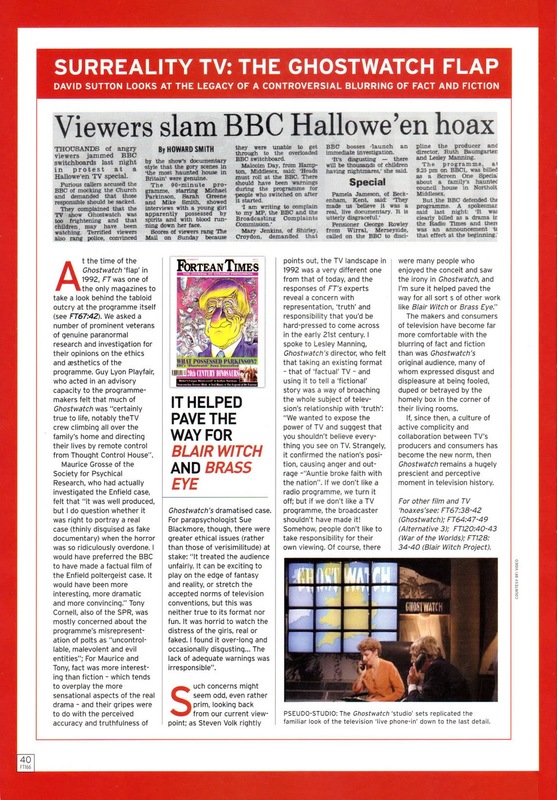 "Ten years ago, the BBC's transmission of Ghostwatch on Halloween Night, 1992, terrified the nation... as well as raising some important issues about television's relationship with its audience. To coincide with its release for the first time on DVD and video, Stephen Volk, the writer of the notorious TV drama, looks back at its origin and its unexpected aftermath. Additional material by David Sutton." 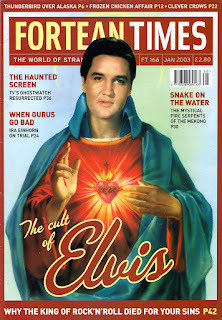 ...Begins a six-page article for Fortean Times magazine, published January, 2003. Featuring a collection of writer/creator Stephen Volk's thoughts and memories of the film, accompanied by some detailed post-broadcast analysis and references by David Sutton, the article can very much be considered a follow up to the '93 FT issue. 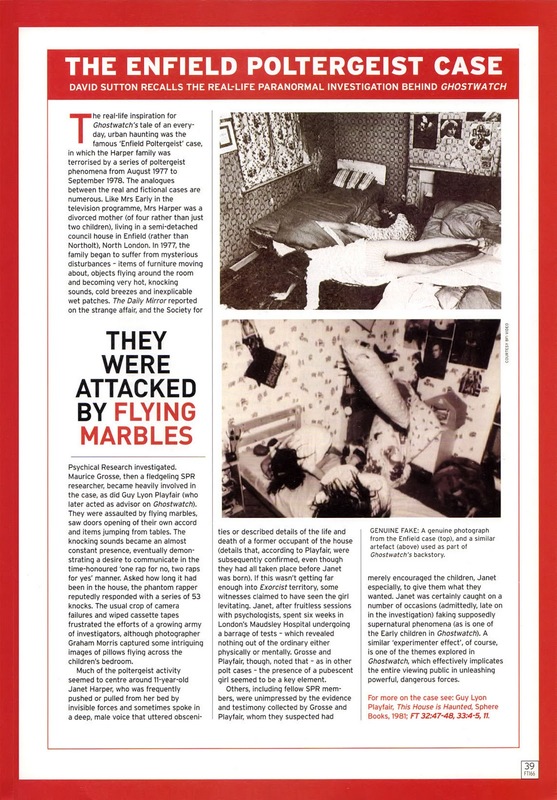 As before, extensive cross-referencing to the true-life Enfield Poltergeist case can be found, this time, on page 39. "What name do the Ghostwatch children give their polt?" In the Resources section, links to two GW-related websites are offered - namely, the BBC Cult TV Ghostwatch page, and 'Ghostwatch.info' - possibly the first online fan site for the film, and in some respects, inspiration for this very blog. Unfortunately, the site has since closed down, which is a real shame, especially as I believe it was the very first to report Pipes Sighting #8 (hiding among the crowd during Craig Charles' interview segment). As always, if anyone has any memories they'd like to share concerning the fan page, get in touch!